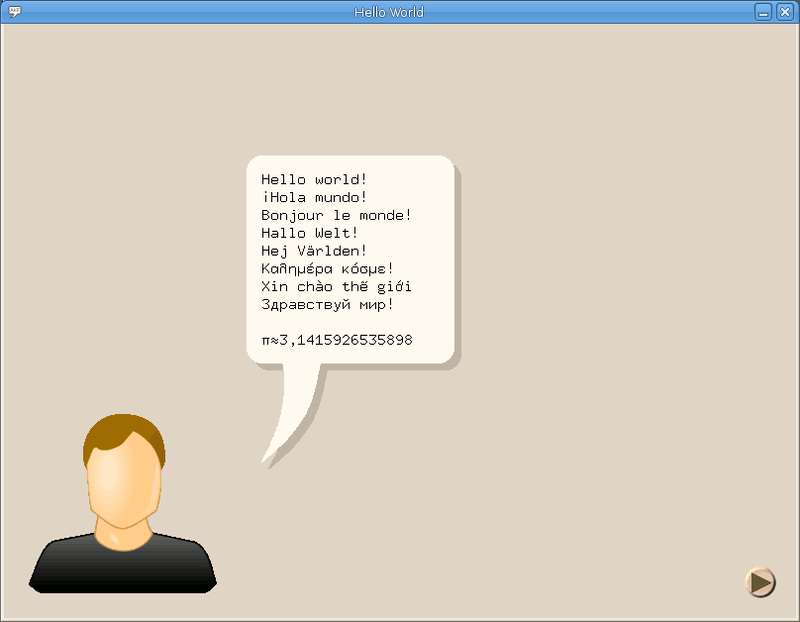 AKFAvatar is a fancy graphical user interface for applications, where an avatar appears on the screen, and tells things to the user written in a balloon. There can also be recorded audio files, so that the user even can hear, what it is saying. With AKFAvatar you can easily write cross platform applications. Applications for AKFAvatar can be written in Lua. Lua scripts even don't need to be compiled for the target platform, you just need Lua-AKFAvatar as runtime environment there. It has an interface for C programs. Furthermore there is a binding for Free Pascal. Those applications have to be compiled for the different target platforms. For POSIX-compatible operating systems there is a manpage viewer, and there is even a terminal emulator. So you can run many existing terminal based programs in this fancy environment. Please check out the Max and Maurice Demo! 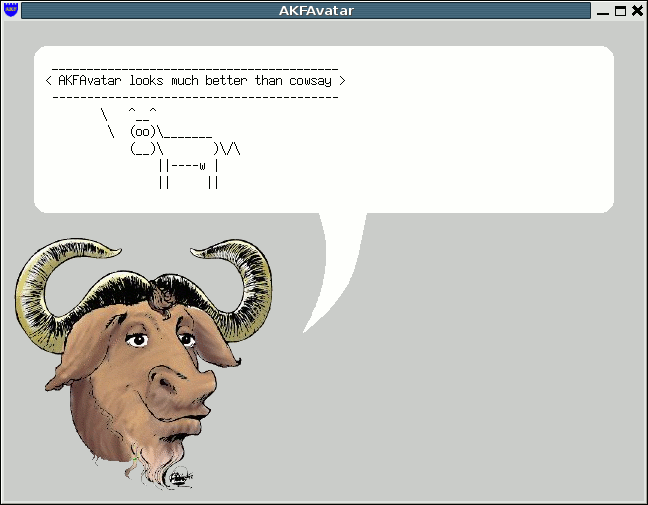 AKFavatar is Free Software. Free Software is about freedom, not price. 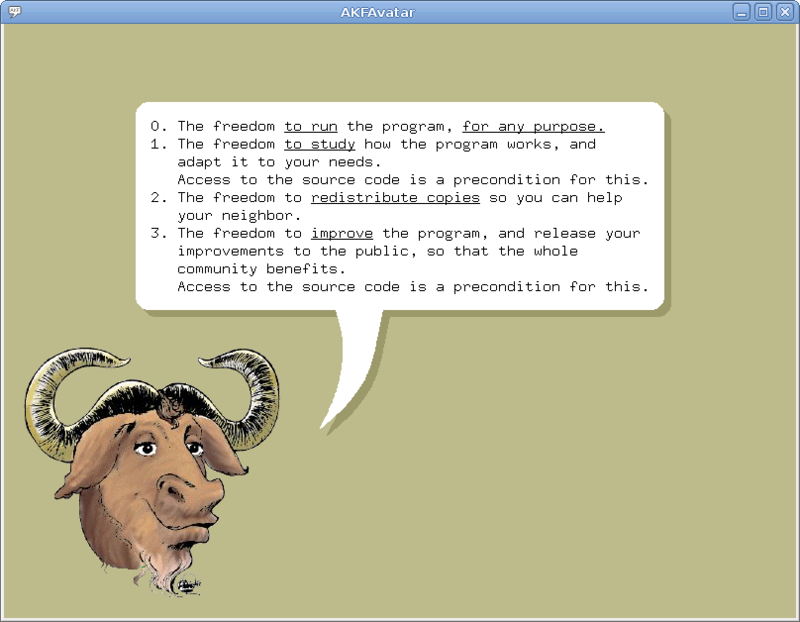 Free Software means, users have the freedom to run it for any purpose, to read the source code and to change it to their needs, and to redistribute copies with or without changes. But the source code has always to be kept available, or those freedoms wouldn't be given anymore. These can be used from any directory. Lua is integrated. 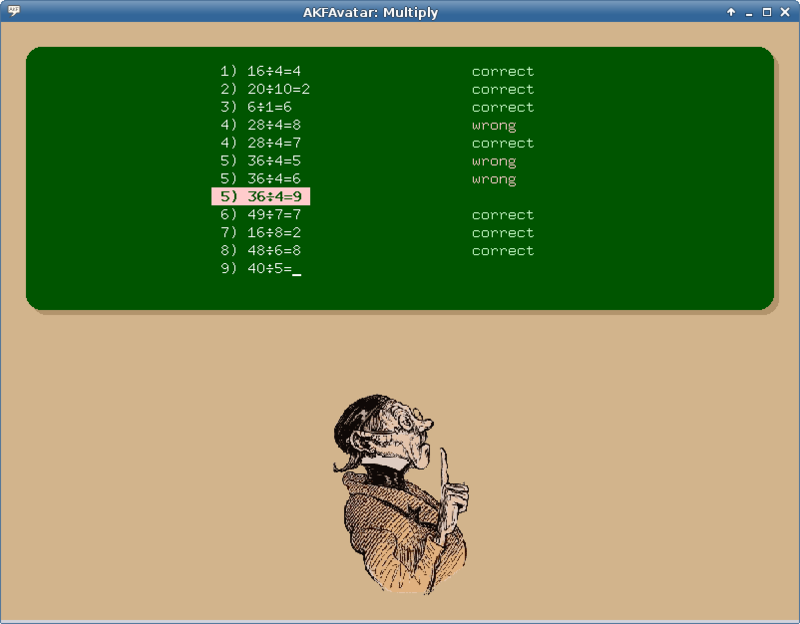 To compile C or Pascal programs for AKFAvatar, you have to install from the source code package, though. Items marked with ¹ are not relevant for Windows. Limitations: Under Windows you cannot use it for viewing manpages and you cannot use it as user interface for textconsole programs. Hint: press F11 for fullscreen-mode and Pause for a pause. Note: to post a message on savannah when you are not logged in, you have to enter a given number at the bottom of the form. That is a basic anti-spam test. The GPL is only relevant for you, if you want to give copies to others. If you use the software in private for your own use or your own pleasure, there are no obligations at all. This software is not in the Public Domain, but it is covered by Copyright law. Being Free Software means, a lot of things are allowed, but it does not mean that anything goes. Especially it is not allowed to make it practically unfree for others. You are welcome to share copies of the software. For example you can put them on your own website. But please keep in mind, that you are not allowed to distribute only binaries, you also have to make the source code available then (for details see section 6 of the license). Without the source code, the freedom to learn from it or to modify it to ones needs would no longer be given. Also commercial use and distribution is explicitly allowed by this license. The license is quite long and complicated. But please read at least the Preamble. That is a good summary of the whole license. The library is also licensed under the GPL version 3. It is not licensed under the LGPL and there is no linking exception. This means, if you publish a program that is linked with the library, you are bound by the terms of the GPL and your software must be published under the same license. This is also the case for Lua scripts that require AKFAvatar. 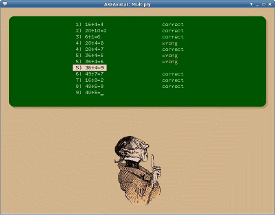 Programs, which run in the terminal emulation and don't use AKFAvatar-specific functions, are however separate entities and are not bound by the GPL. Such programs may be distributed together with AKFAvatar (look for the keyword “aggregate” in the GPL). ¹ Items marked with ¹ are not relevant for Windows. AKFAvatar has nothing to do with the film “Avatar”. The name was chosen long before I heard of that film project.